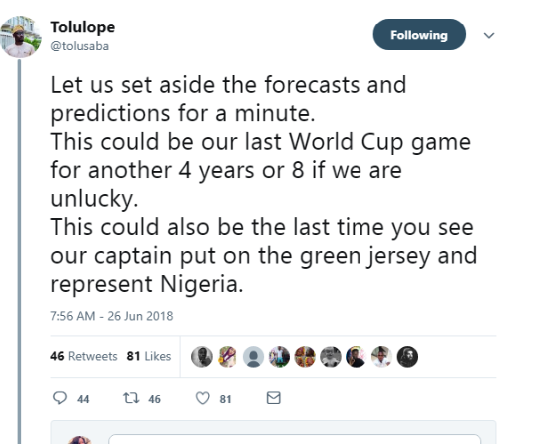 Tolusaba the man who went viral after he Accurately predicted the scoreline between Nigeria and Iceland, Well He Just predicted Today’s Game again. 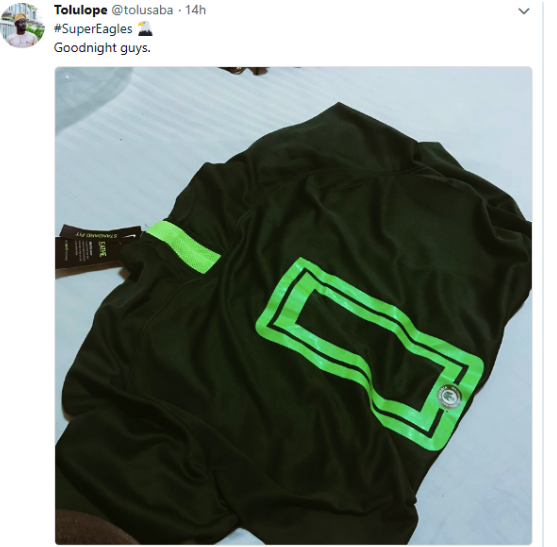 But Its not what you’re expecting, Lastnight he shared a Nigerian Jersey with 0 in it, But Nigerians refused to accept that as the final score, So cleared the air this morning, And according to him this Match could be Super Eagle’s last for the Next Four Years. 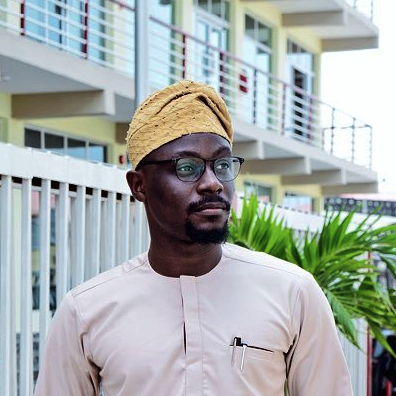 0 Response to "Man Who Accurately Predicted Nigeria VS Iceland, Predicts Again. See What He Said"